How long have you been licensed and in business? We accept private pay and LTC insurance, however the doctor, RN and home health services, such as physical therapy, speech therapy, etc. can be billed directly to Medicare. Do you have activities planned for the residents? We have an activity director who works with them on a daily basis including parties, sing-a-long, bingo, arts and crafts, trivia and exercises. Yes, you may keep your own pharmacy or medications can be ordered for delivery directly to Comfy Home from our pharmacy. Can I provide my own supplies and toiletries? Yes, you may provide your own supplies or they can be ordered and delivered directly to Comfy Home by our supplier. Do you provide transportation to doctor’s appointments? As a supplemental service, transportation services can be arranged as needed. Can you prepare special diets? Yes, we can plan and prepare any special diets for specific needs such as low sodium, no sugar/starch and because of allergies to certain foods. Can I take my loved one home for the day or out for special events at any time? Yes, just call ahead to coordinate date and time. Can you accommodate someone who needs help with transferring, custodial care, dressing, showering and grooming? 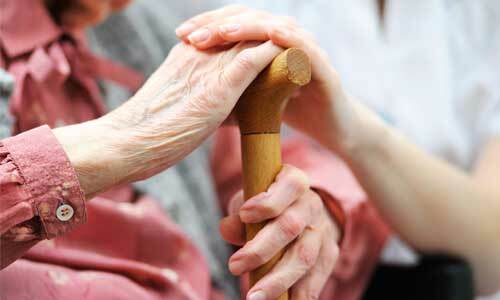 Yes, we provide 24 hour care to whoever needs assistance with any physical mobility.